Being an adult requires lots of strengths. One strength that is expected of grown-ups, pretty much across the board, is that of self-reliance. The idea that you do what you can to the best of your ability and draw satisfaction from the experience. Whether it be work, parenting, or garnering a new skill, the “adult” pursues it with a level of independence and inward regard. Those people who have reached chronological adulthood who spend their time mired in comparing themselves to others (E.g. “He makes more money than me but I am better at the job.” “She thinks she knows so much about parenting, but my kids are way nicer than hers.” “It only took me three days to master that double black diamond trail.”) are regarded–rightfully so–as “juvenile.” The theory of adulthood, if there can be a theory, is that we each get to choose who we want to be and how we go through life. In the drawing of that contrast, I am struck by how very isolating this cognitive act can be. For me, the one drawing the contrast between my “X” and the other person’s “not X”, I am now no longer present with the reality of a difference in experience; instead, I am considering my own position relative to the other’s opposing position. The mere act of comparison places two points on a line, rather than a focused concentration on the other person’s unique location on that line independent of myself. Moreover, for the “other” on the recipient end of the contrast (the one being unwittingly “judged by comparison” for lack of a better word), the result is similarly isolating as the energy of the interaction is diluted by the simple division of attention between those two reference points. Which gets me back to the idea that being an “adult” means being fully present with “the other” and not selfishly thinking of oneself. And again, adulthood ought to elevate us not only to the plain where we don’t hijack conversations with camaraderie or “but for the grace of god go I” explanations but above that level to a place where we are able to just be present with the “other’s” experience, leaving the contrast of “my life” versus “your life” out of the interaction altogether. 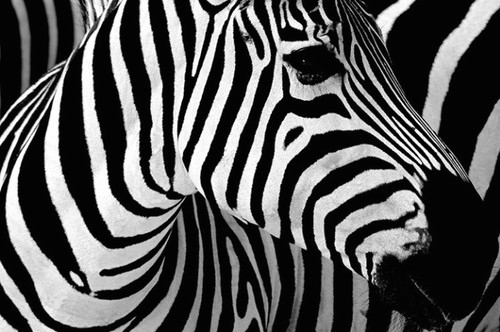 Because in the end, it doesn’t matter whether a zebra is a black thing with white stripes or a white thing with black stripes. It only matters that the observer sees the whole animal and not in contrast to him/herself.